Blue-chip duo need to face up to problems at loss-making operations. Bruce Hassall has the unenviable role of being in the hot seat as audit chair at two leading blue chips - Fonterra and Fletcher Building - which are grappling with projected losses in key areas. Hassall has an understated manner. But those who have sat across board tables from him say he "can be expected to be brutal" when it comes to driving hard-nosed value assessments. That will become apparent on Monday, when Fletcher Building - now led by chief executive Ross Taylor, in the job for just 10 weeks - announces its latest projected losses from its Building and Interiors (B+I) arm. Hassall assumed the chair of Fletcher's audit and risk committee from John Judge, who retired as a director following the company's annual meeting in October. Fletcher's problems have been well canvassed - more on that later. When Hassall retired as CEO of PwC in 2016, after seven years running the accounting firm in New Zealand, he was a sitter for top directorships. In swift order he was appointed to the boards of Bank of New Zealand, Fletcher, Farmers Trading and dairy co-operative Fonterra. Now Hassall is also grappling with complex issues at Fonterra, which he joined in November, assuming the chairmanship of the audit and finance committee following David Jackson's retire-ment after a decade as a director. 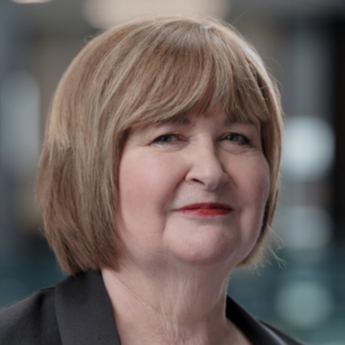 The major issue Hassall and other committee members - Andy Macfarlane, Nicola Shadbolt, Donna Smit, Scott St John and Ashley Waugh - have to contend with, is a woeful lack of transparency when it comes to the financial and governance aspects of Fonterra's China operations. This has been well commented on by media and financial analysts. My contention is that Hassall should usefully employ the same tactic that has been used at Fletcher Building: put a ring around the Chinese problem child operations and report them separately and in depth, so as not to mar Fonterra's otherwise healthy operations. The truth is, an information vacuum has developed. This ought to cause concern, not just to Fonterra's farmer shareholders - whose company stumped up $774 million to buy an 18.8 per cent stake in Chinese infant formula manufacturer Beingmate Baby & Child Food Co at 18 Chinese yuan a share (the shares were trading at 4.73 yuan yesterday) - but also the unit holders in Fonterra's listed shareholders' fund. Last month, the listed Beingmate company issued a downgrade, putting its projected loss at $171m-$214m for the December year, against a prior forecast loss of $75m-$107m. The extent of the writedowns on Fonterra's 18.8 per cent investment will become apparent when the dairy co-operative releases its interim financial result next month. In my view, given the haemorrhaging of the Beingmate share price and the extent of the projected loss, Hassall and the board will have no option but to take a hard-nosed approach and ensure realistic writedowns take place. In the past, Fonterra has taken what has proven to be an overly rosy view of Beingmate's prospects - a prior impairment charge was relatively minor. That really won't wash now. Fonterra chairman John Wilson this week told The Country radio show he is confident the loss-making business of its Chinese partner can be turned around "over the medium term". "We need to be patient. We need to play the long game. None of us are happy with where they are at the moment, but our management team certainly has confidence that it can be turned around over the medium term," he said. "This business - Beingmate - has gone from being an entrepreneur-run business to a business that has to deal with significant change in the market," said Wilson. "By their own admission, they are not doing that fast enough and we expect transformation of that business and it has to happen." But this "trust us" approach is difficult to swallow given Beingmate's current issues. The chair of the Chinese company's audit committee has now resigned. It still does not have a chief financial officer. It is expected to be delisted. Fonterra's two directors on that board remain in the dark and have no confidence in its financial reporting. Meantime, there are claims and counter-claims. One of the most interesting was a report from Jane Li, a partner in the New Zealand Milk Bar in China, that Beingmate executives told her the company might look at selling most of its infant formula brands to shore up its financial position, and move instead to contract manufacturing. This would appear to negate the rationale for Fonterra's investment in the first place. What is also unclear is the extent to which Beingmate founder Hong (Sam) Xie has been propping up the company by buying back assets, and whether these were proper arms' length transactions. On January 21, the Beingmate board voted against a plan to sell off the fully owned subsidiary Doudou Infant Nutrition Food Company, which had net asset value of 166m yuan ($36m). Fonterra's directors, two independent directors and two abstaining directors meant that the proposal failed. Fonterra will not disclose how much of its original 18.8 per cent stake was bought from Xie's interests, saying "unfortunately that's commercially sensitive so not something we can disclose". In my view, this absolutely should be made transparent. Particularly as Fonterra paid a 20 per cent margin on Beingmate's then shareprice for the stake. Fonterra's foodservice arm is reported to be going well. But there is the question of whether Fonterra's investment in its Chinese farms is above water. The chairs of both the Fonterra Shareholders' Council (Duncan Coull) and the Fonterra Shareholders' Fund (John Shewan) should be insistent on forthright disclosure, and ensuring that the "China investment" is fully reported. Meanwhile, Fletcher's problems have deepened. Fletcher chairman Sir Ralph Norris announced at that October meeting that the company had taken a further $125m provision against problematic construction contracts, including the International Convention Centre in Auckland and the Justice Precinct in Christchurch, and said its B+I unit would report a full-year loss of $160m, including $35m of overhead costs. But this week Fletcher said it expects further "material losses" at B+I and expects to be in breach of its banking covenants once the losses are quantified. Trading in its shares and capital notes was halted pending a review of B+I projects. It's become a truism in commercial life for incoming CEOs to "wipe the board" of losses - so they have a clean slate as they take a company forward. Taylor is no exception. He has been tough on writedowns when coming in to prior problem child companies. When I interviewed him three days before Christmas (the only media interview he has given to date) he had been in the job just four weeks. Taylor said there was no particular playbook. The board and management had had a good look at the provisions. But he had to get his own view on that. "When you look at big projects like that, what you've got to look for to get certainty in the provision and the outlook is, you get the right team, you get the right forecast, but you've got to actually see the project delivering against the schedule and delivering against the cost forecast month on month for a few months. "If you look at the team, say for instance that's been on the Convention Centre, it's been there for three months, so it's three months into that ... so I'd say if we can see that stabilising into March, April, May, we'll then know we've got it, but until we get that six months under our belt with that team ... And that's not saying there's upside or downside, that's just reality. "So what I should be able to do in February is have a view on how we've assessed the risk in those, and then by the time we get to June I'd hope that we've then seen enough to say, 'Look, actually, it looks like it's running okay'. ""The risk in these environments ... is everyone wants you to put a, give definition, but until you've seen that, you know, you're just not sure." With Fletcher in breach of its banking convenants, the luxury of time to reach certainty over a longer period has evaporated. Fletcher's bankers will give it leeway, but the question is whether the board opts to sell the construction business, or give Taylor more time to turn it around. Hassall will be a key player in that decision.